Looking to get away, but not too far away? Just head down I-57 South to a small city called Effingham (my hometown). 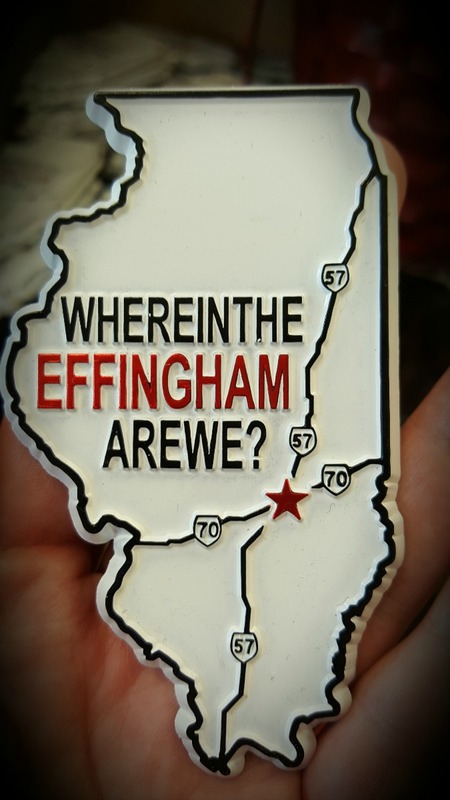 Yes, there really is a town call Effingham. The city, about 80 miles from C-U, bills itself as “the crossroads of opportunity,” as it is located where interstates 57 and 70 meet. Whether it be a date night out or a day on the town with the kiddos, this town packs a lot of punch into a small area. 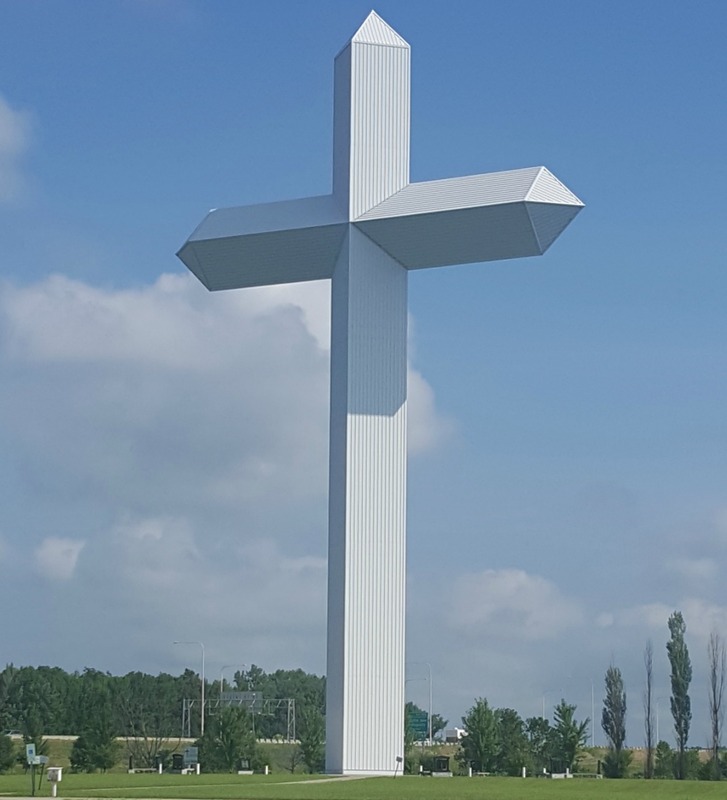 If you’ve ever passed Effingham, you’ve most likely seen “The Cross at the Crossroads,” America’s largest standing cross. It is 198 feet tall and 113 feet wide and is surrounded by an interactive display of the 10 commandments. A small Chapel Welcome Center is positioned next to the cross where visitors can watch a short video on the progression of The Cross’s construction. The Welcome Center is volunteer-run, so hours do vary. Car enthusiasts won’t want to miss a stop at Mid America Motorworks & My Garage Museum. You’ll get your automobile fix during a museum tour where you can see rare, antique and one-of-a-kind cars and vintage collectibles. Mid America is the destination location for Corvette and VW owners and lovers who flock to the annual Corvette Funfest, hosted yearly in September. Have you ever purchased a Hodgson Mill baking mix? Did you know that Hodgson Mill is actually based in Effingham? Recently, they constructed a retail store called The Mill that sells a wide variety of cooking gadgets and milled grain products, including a large selection of gluten free items. If you’re looking to add a few new recipes to your recipe box, the building also hosts baking and healthy eating cooking classes in their new education center. Classes are $20 for Demonstration and $25 for Interactive and can be booked online (with an added fee), in person or over the phone. Though most classes are targeted toward junior high aged kids and up, they will be offering some classes for younger chefs in the near future. Looking for a show away from home? 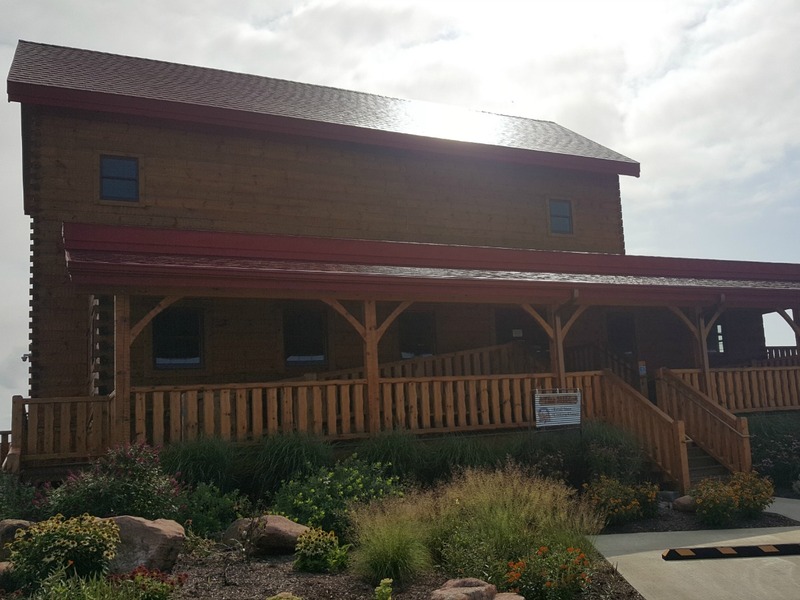 The Effingham Performance Center is a nearby destination for entertainment seekers. This 1,523-seat theater has had performers from The Doobie Brothers to Bob Saget. Some upcoming performances will include Bill Engvall, Vince Gill and The Price is Right LIVE. Though the majority of performances are more for adults, occasionally the EPC will host kid friendly shows. Feeling more like a day submerged in nature? Just a short drive north of Effingham is a 600-acre lake called Lake Sara. The lake offers a nice beach for swimming, and it’s free! If you’re interested in boating and seem to have misplaced your boat (maybe you left it back at the boat shop), Larson’s Landing has five themed pontoon boats that are available for rent. For you ILL-INI fans out there, they even have an Illini-themed boat! Rates are $25/hr plus fuel cost on weekdays and $35/hr plus fuel cost on weekends. Maybe you and your kids are avid park hoppers and want to leap to some new park options. Effingham has four city parks from which to choose. One of my favorites is Evergreen Hollow Park, and coming soon is an all inclusive playground called Harmony Playground. Just coming to try some new food? Effingham has more than 65 restaurants to satisfy just about any palate. Three local favorites are The Firefly Grill, Niemerg’s Steak House, and Homewood Grill. 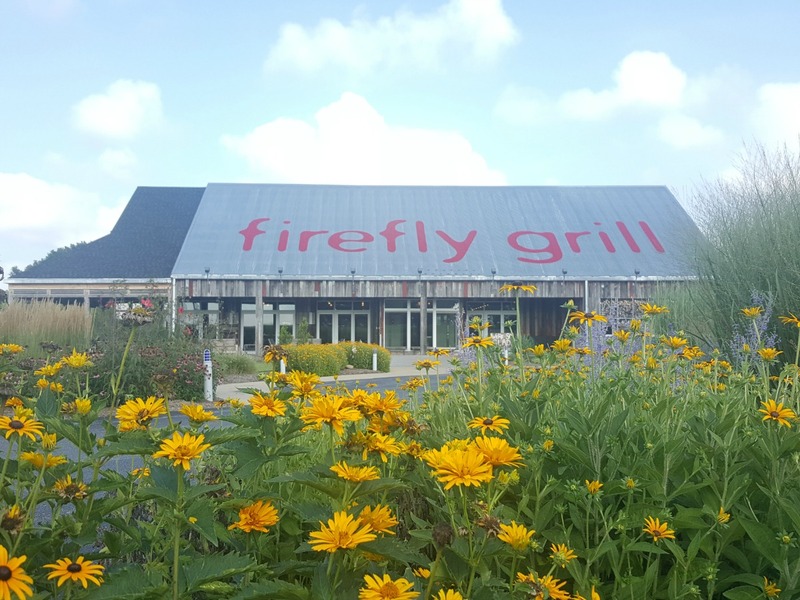 Firefly is a stylish, upscale restaurant located in a charmingly scenic landscape. When available, they use local foods and fresh herbs and vegetables straight from their own garden. Niemerg’s Steak House offers family dining in their coffee shop or dining room. I don’t think you can find better fried chicken or mashed potatoes and gravy, anywhere! Homewood Grill is a seasonal ice cream stand where all of the locals flock for their favorite eats and treats. So, if you’ve run out of new ideas for fun places to visit, a short drive to a funny sounding city might just fill the bill. Don’t forget to stop by the Jack Flash Gas Station for a “Where in the Effingham are we” souvenir! Travel doesn’t have to be far, just fun!